Joachim Rottluff, graduate social scientist, has – since 1979 – been an independent management consultant, cooperating with a variety of consulting companies. His early consulting focus was the improvement of learning and development of people, teams and organizations. 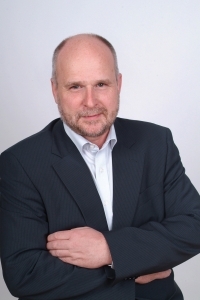 As an expert on German Vocational Education he has worked for the “Gesellschaft für Internationale Zusammenarbeit” (GIZ) in South Korea, Qatar, the Balkans, Ethiopia and Vietnam. Since the mid-1990s, his focus has shifted to strategic organizational design based on the Business Excellence Model of the European Foundation for Quality Management (EFQM). Based thereon, he devised the development model “Success with Integrity” together with Prof. Dr. Annette Kleinfeld (HTWG und Konstanz Institut für Corporate Governance) – a renowned expert for Corporate Compliance and Integrity. This model integrates the EFQM model and the standard ISO 26000 (CSR) as well as all other relevant reference frameworks for the design of holistic value-oriented management concepts. Among others, customers have been: FORD, VW, BMW, TELEKOM, Deutsche Bahn, Lufthansa, ZF-Friedrichshafen, Continental, …. and a large number of medium-sized companies. Mr. Rottluff is the ambassador of the “Club of Hamburg” Foundation, sponsor of the development model “Success with Integrity” .